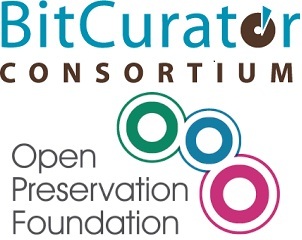 Building on the existing strong ties between our organisations, the Open Preservation Foundation (OPF) and BitCurator Consortium (BCC) are pleased to announce a discount trial membership opportunity that offers its members a 10% discount off annual membership fees. From 1 January 2017, members of the OPF will receive a 10% discount on membership fees when they join the BCC for a year long trial membership, and BCC members will receive a 10% discount when they join the OPF. The offer runs from one year to 31 December 2017. The trial discounted membership provides libraries, archives, museums, and other institutions with an opportunity to experiment with membership in the BCC and OPF and leverage the knowledge, skills, and resources of their highly dynamic and active communities. To discuss any aspects of the offer, or the respective member benefits, please contact Sam Meister (sam@educopia.org) or Becky McGuinness (becky@openpreservation.org).